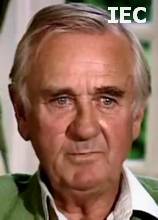 Born: 16 October 1924, London, UK., as George Alan Hume. Died: 13 July 2010, Chalfont St. Giles, Buckinghamshire, UK. 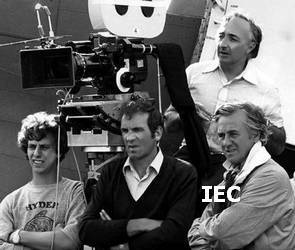 In 1976, John Glen invited Hume to work with him on the 2u of 'The Spy Who Loved Me' and the ski-jump that graces the pre-titles sequence. This lead to Hume being invited to ph John Glen's directorial debut, 'For Your Eyes Only' . Became a member of the BSC in 1964 and was president from 1969-71. Became honorary member of the BSC after his retirement. His 4 children were/are active in the film industry: Lindsey [?-1967] was active in the cutting room, Martin is a c.op, Pauline is a titles designer, and Simon is a c.asst. Wrote his autobiography 'A Life Through the Lens. Memoirs of a Film Cameraman'  with Gareth Owen. Awards: BSC Award nom  for 'Shirley Valentine'. Obituary: Despite, or because of, the ancient, dirty jokes, schoolboy humour, double entendres, and a string of hammy actors telegraphing each jest with pursed lips, rolling eyes or a snigger, the 'Carry On' films have an army of devotees. Behind the camera, on almost all of the 30 'Carry On' movies, was the cinematographer Alan Hume, who has died aged 85. Hume started as camera operator on the very first, 'Carry On Sergeant', soon becoming director of photography on 'Carry On Regardless' , and continuing until 'Carry On Columbus'  ended the franchise. Though few would make any artistic claims for the films, they were competently shot, rapidly, on a shoestring. Because of the rapport Hume built up over a long period with the producer Peter Rogers and the director Gerald Thomas - he worked with them for years without a contract - he knew exactly what was required. In the foreword to Hume's autobiography, 'A Life Through the Lens. 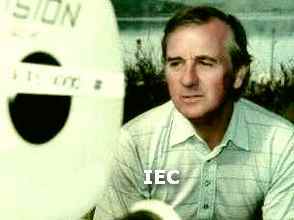 Memoirs of a Film Cameraman', Rogers explained: "I have known Alan Hume almost as long as I know myself. I've known him as a giggling camera operator and as one of the film industry's foremost lighting cameramen. I say giggling operator because when we were working on the early 'Carry On' films, he giggled so much... that he had to leave the stage to recover. I've also known him as a non-giggling operator as, for instance, when he was shooting a scene... hanging out of a doorless helicopter and holding a handheld camera." The latter referred to Hume's second-unit filming of the spectacular pre-credit sequence of 'The Spy Who Loved Me' , in which James Bond (the stuntman Rick Sylvester standing in for Roger Moore), chased by baddies on skis, leaps off a cliff and opens up a Union Jack parachute. It was shot high on a mountain on Baffin Island, North Canada, after weeks of waiting for the weather to clear, so it had to be done in one take. "After so many weeks of preparing and anticipating this jump, I suddenly felt the blood rush from my face," Hume wrote. "This was it, and it was a far cry from my working diet of comedy and modest-budget dramas back in London." Hume went on to be the daring cinematographer on three more Bonds, all starring Moore and directed by John Glen, each offering the well-tried formula of gals, guns, villains and glossy locations. Among Hume's best work was Andrei Konchalovsky's 'Runaway Train' , shot in freezing conditions in Canada and Iceland, on a real train. Also to be commended was his camerawork for two veteran directors of British cinema, Lewis Gilbert and Charles Crichton. 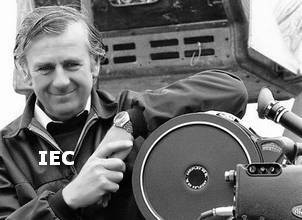 Hume was elected to the British Society of Cinematographers in 1964, serving as president for three years. Captain Nemo and the Underwater City [James Hill] p/c; uwph: Egil Woxholt & Jordan Klein Sr.